A heart surgeon once told me that we play a five-card hand with heart disease. The five factors are heredity, smoking, diet, exercise and stress. He said that heredity was a stronger card than many people supposed, but that the other four cards counted. You make yourself less likely to suffer heart disease if you quit smoking cigarettes, or at least seriously cut back on them. 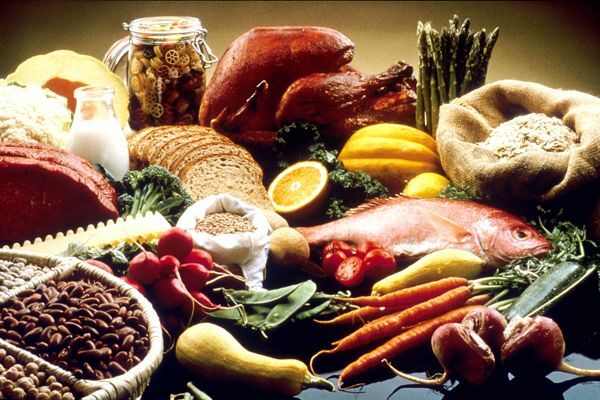 If you avoid too many foods rich in saturated fats and eat more fish and vegetables you improve your chances. Regular exercise, even light exercise like walking, is better than being a total couch potato. Finally, lowering your stress levels helps out, though I found when I read up on this that there is a qualifier. Stress you impose on yourself and can control is OK: it is the stress imposed on you by others or by circumstance that is the bad guy. Some people can control stress by such things as yoga or meditation, but there’s a school of thought which says that diet can play a big role, too. Dame Pinnock tells how choice of foodstuffs can lower the physiological effects of stress. Oily fish such as salmon, tuna and mackerel, can help stabilize your mood. Magnesium makes muscles relax and is found in green vegetables, and the B vitamins that can help calm and relax the nervous system are present in foods like asparagus. Lastly, he says, you should keep your energy levels stable by combining a lean protein (like salmon) with a complex carbohydrate (like brown rice) plus vegetables. It seems well established that children’s behaviour is influenced by diet, and that over-active children can be calmer if sugar-rich foods are replaced by more vegetables, so the use of diet to manage stress seems plausible. We cannot yet do anything about heredity, but the other four cards can be altered by behaviour, and people have a choice on whether to do anything about them. And it’s not just heart disease; acquiring beneficial habits has positive effects on your general health as well. Vitamin B12 is the tricky one. Millions of humans lack sufficient B12 which has an extremely important role in the brain function. B12 occurs naturally in our food chain but is often lacking depending on diet. Lack of B12 can cause a multiplicity of problems some of which are life threatening including blood disorders and heart function. Supplementary B12 vitamins are available and are nearly impossible to overdose but caution should be taken with any vitamin intake so user beware.